You look beautiful! 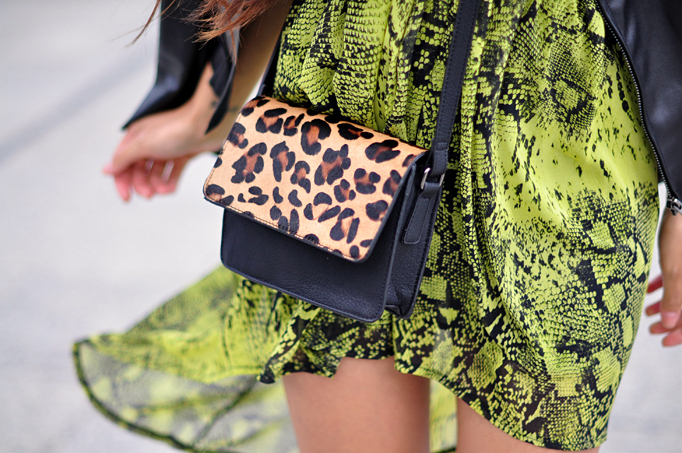 I like the combination of different wild prints! You are 100000% stunning! Your sense of style, glamour and grace hasn't only inspired me to buy several dupes or similar garments - but also to start my own blog. love the dress, it's very different. i usually don't like clothes with snake prints but it actually looks good on u. Love how the dress pattern seems to be camouflaged in the background. Beautiful pics! HOW CAN YOU LOOK SOOOO GOOD?! Gosh it is a blog like yours that make me feel so depressed sometimes, but also motivates me to take better picturessss! Love it when you update! Your photos are stunning and you look gorgeous in that dress. Have a great weekend! Oh god, you look awesome ! I've just put new post on my blog with these heels. Love them :) And the bag is so pretty! That is one magnificent dress! OH YOU LOOK INCREDIBLE AS ALWAYS ! Gorgeous! love the mix of animal prints! Beautiful dress, looks great on you! It can be OK without this bag. Two patterns together in one outfit are too strong. I am not a huge fan of snake but that dress it's wonderful fits you great and the pictures are lovely. You are so beautiful and the outfit is very nice. love your blog. aww gorgeous! the pattern looks the same with the background indeed! You are so beautiful. Your sets are perfect in every detail. love this! the colours are incredible on you! You look gorgeous!! I love your blog! As a new blogger it is such an inspiration! I would love for you to check out my new blog and let me know what you think! amazing dress! i like wild pattern u used for this stylization!